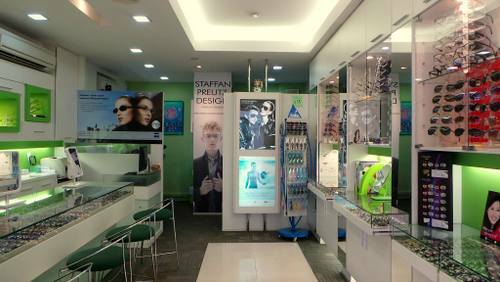 Optical store Designer Eyewear & Contact Lens Centre has two locations in Singapore, one within Bugis (180 Bencoolen Street) and another at Bras Basah Complex (231 Bain Street). Founded in 1995, Designer Eyewear & Contact Lens Centre offers the latest brands of eyewear, including a wide range of prescription spectacles, sunglasses, and contact lenses. The shops feature more than seventy different lens types, including eighteen daily disposables. Designer Eyewear’s product range includes many renowned prescription lenses, spectacle and sunglasses brands across various target audiences. Among the eyewear brands available at the stores are Ray-Ban, ic! berlin, Victor & Rolf, and Japonism. With the optical shop’s friendly professionals and their free eyecare assessment you can find the perfect pair of glasses or contact lenses, with prescription glasses being ready in only 30 minutes. Designer Eyewear is also one of the few eyecare providers in Singapore that offers Orthokeratology services. The official Designer Eyewear & Contact Lens Centre Facebook page is located at www.facebook.com/DesignerEyewearLLP/. Following the Facebook page, you’ll get updates about the optical stores’ promotional offers, their events, plus more.